The Plymouth GTX was first introduced in 1967 as the Plymouth Belvedere GTX. Apart from a blacked out grille, nonworking fibreglass hood scopes, tachometer on the dash and few other visual treats, it was mostly a Belvedere muscle car with a high trim level. 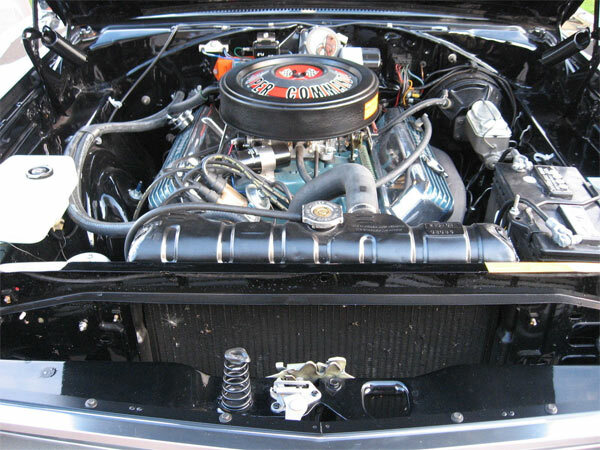 Engine options were the 440ci V8 and the 426 Hemi V8. 1968 saw the classic muscle car design come in on the Plymouth B-body with ‘Coke bottle’ styling and a complete redesign. The hardtops had no B-pillar, with dual stripes on each side and added more luxury above the lower-priced Roadrunner. Roadrunners sold more than double the GTX in 1968 as people wanted the performance and lower price of the Roadrunner, rather than the extra trim of the GTX. The Roadrunner was also lighter by 100 pounds. This example of a 1968 Plymouth GTX is in beautiful condition, having been completely restored in 2009. Said to be numbers matching with a 440 V8 and rare white and blue interior, front buddy seat, with side peacock blue stripes and red stripe tires. The car also features a column shifter, power steering, power disc brakes and is registered in the Chrysler registry by Galen V Govier. Interior shots of the car only show it halfway through the restoration process. Hopefully you get the rest of the interior on the final sale, but a few completed interior image shots would have helped. It would have been nice if the listing showed the production numbers or images of any paperwork to back up any rarity claims. 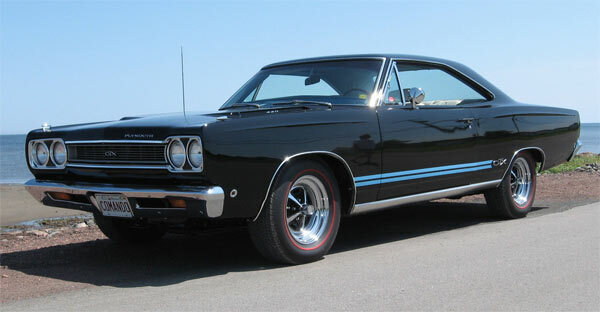 But in any case, this is a beautiful example of a 1968 Plymouth GTX. Not looking overt or overdone, but more like a fine example of a classic vehicle. The price point isn’t the most expensive, nor the cheapest, but if everything checks out this GTX, it would make a very nice long term proposition.